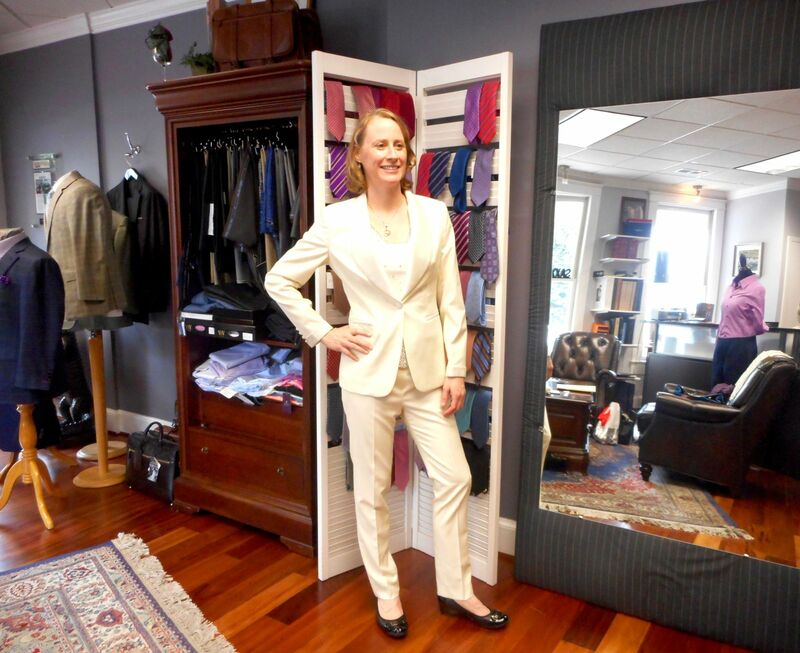 Kristen's stunning Italian Ivory, Vitale Barberis, custom suit! Kirsten is wearing a jacket made from an Italian Ivory Vitale Barberis Legacy cloth with a Matisse silk and wool blended shawl collar and a Louie Roth cuff-treatment on the sleeve. Kristen showed us a picture of a suit made by a well-known, upscale designer in which she asked if we could replicate for her upcoming wedding. 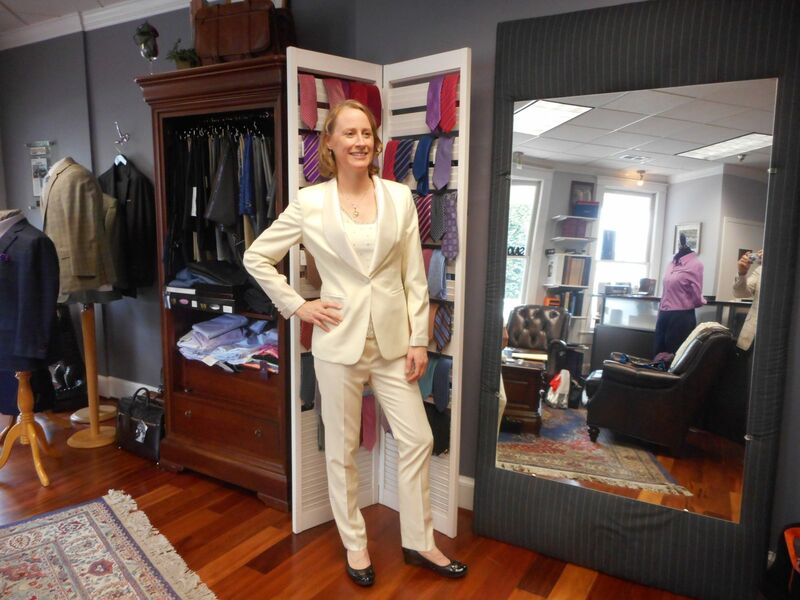 We were able to accommodate her request, and in the end, Kristen was very satisfied with the final product and saw a considerable cost-savings against that of the ready-made suit.